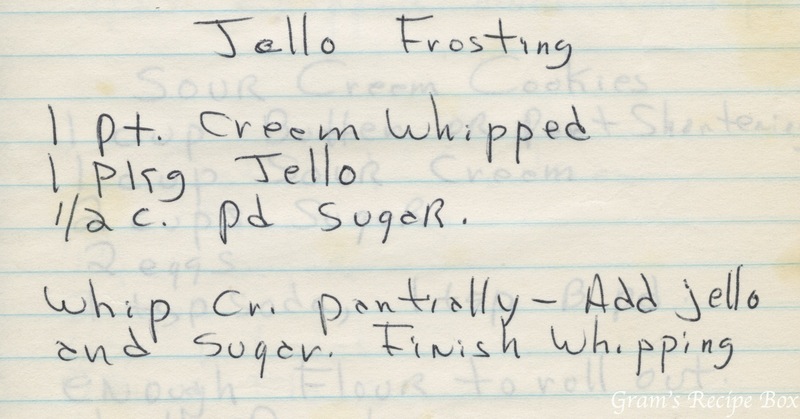 I’m not entirely sure about this recipe for Jello Frosting. The idea is interesting – a whipped cream frosting with a Jello flavor added to it, but to me it sounds horrible. However, I don’t like whipped cream frosting to start with, so there’s that.